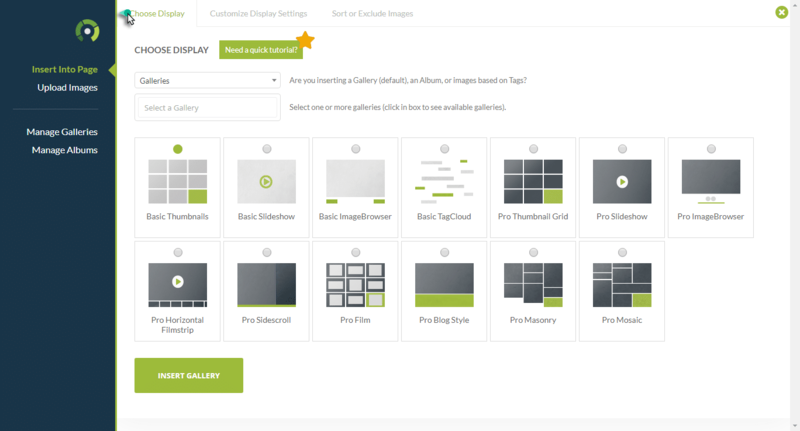 The Add Gallery Window allows you to easily select a gallery display style > select your gallery > customize the display and insert it to your page. 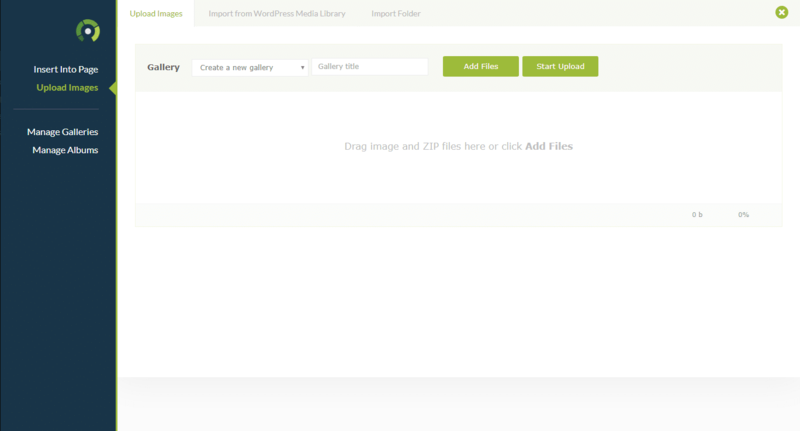 It also allows you to create and manage your gallery or album. 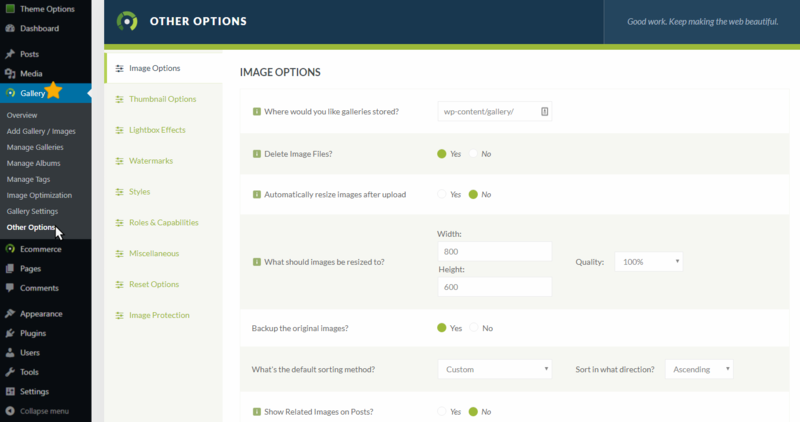 You can also customize the appearance of any gallery type for each gallery inserted to a page or post. 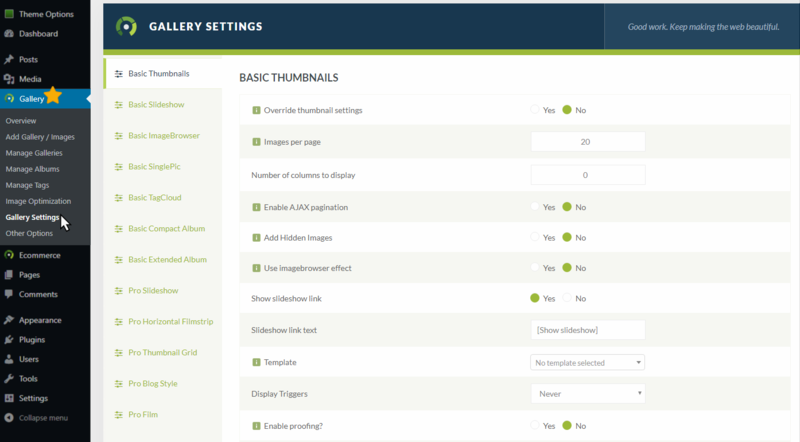 - Manage additional gallery features like Lightbox Effects, Watermarking, Edit CSS under Gallery >> Other Options. - Updating your default settings under Gallery >> Gallery Settings, will NOT update existing galleries added through the Add Gallery Window. 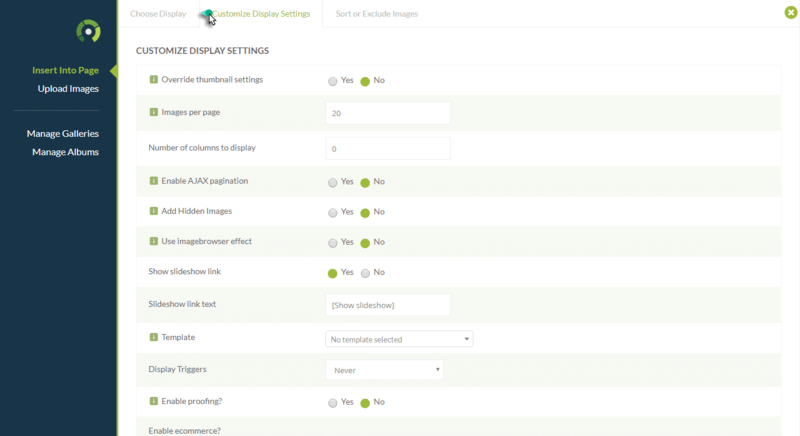 Updating the default settings will make those settings available by default with any new galleries created next. - Copying and pasting your Add Gallery Window code from one page to another page will NOT work. When a gallery is added via the Add Gallery Window, it is given a unique ID and is registered into the database. 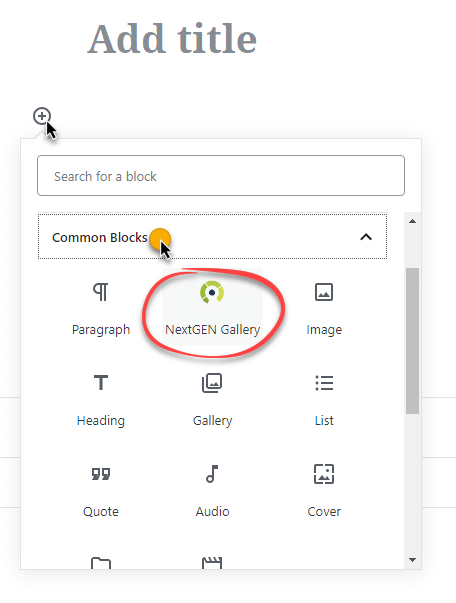 So when you update your original gallery, it will automatically update the gallery you copied and pasted to the other page because it has the same registered ID, and vice versa.